Bernalwood had been keeping the news to ourselves to suppress the competition, but the news is out now that @creativeholley posted the photo above from Bernal Hill. She says she’s “picking blackberries to make jam.” Yum! 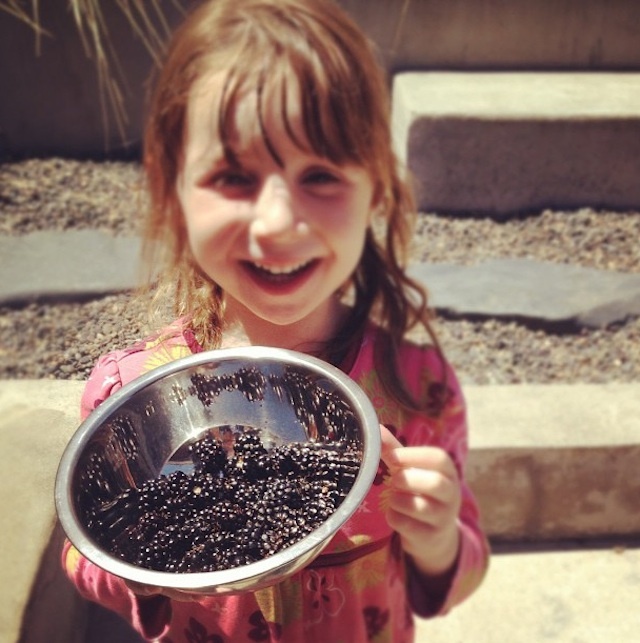 Truth be told, Bernalwood’s cub reporter has been harvesting blackberries from our Private Reserve. The neighbors behind us have a blackberry bush, and its thorny tentacles reach over the back fence into our back yard. We do not complain. 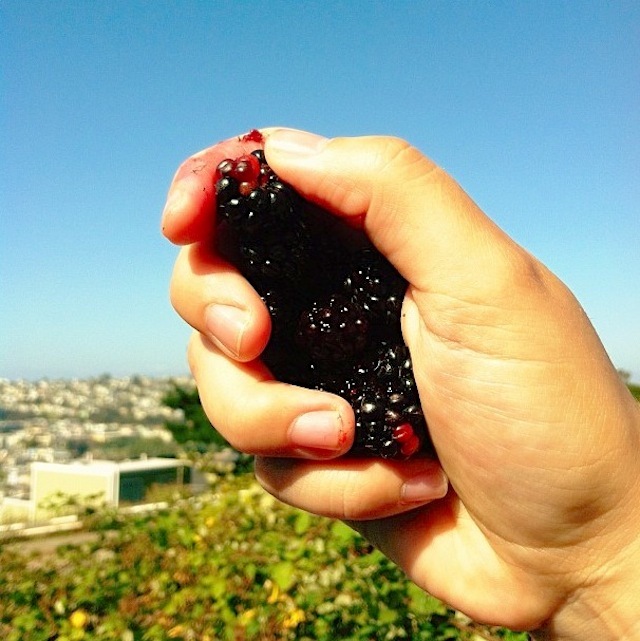 Picking black berries (and sliding down the hill on cardboard slabs & kite flying) are my fondest Bernal Hill childhood memories. There some things that are NOT to be published, todd! There *are* some things that are NOT to be published, Todd….sheesh! YES! Fat ‘n juicy that just fall into your hand when touched. Seems like a good crop this year. Funny since this past winter was so much dryer than the previous winter, which had produced a pretty poor crop. I like having the trails, too. Somebody’s put some effort into maintaining them, and I’m pretty sure it’s not Rec & Parks. There’s still plenty of room for critters, and much more of the blackberries are pickable by people. It’s not a native species (Himalayan, I think), so if we’re going to have it, we might as well be able to enjoy it.